The holidays are around the corner! If you are planning to take a vacation over the holidays, be sure to pack and plan carefully. 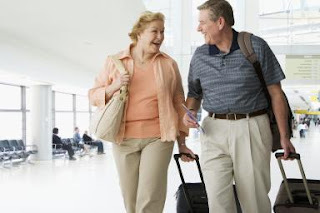 Let’s chat about traveling with incontinence to avoid any issues that may arise. It is important to note that you can still have an amazing vacation while being incontinent. HDIS is more than ready to equip you with what you need, so incontinence doesn’t hinder your enjoyment. There are several options available to you. We understand you may have questions leading to your travels. First, you might want to order an extra couple of packages, to ensure you have MORE than enough to get you through the duration of your stay. If you use our convenient PDP (Personalized Delivery Plan), you should check the date of your next delivery to make sure you will be home to receive it. If the next delivery date falls on a day when you will be on vacation, you can always put a hold on the shipment or reschedule it. We are able to alter your delivery dates to accommodate your lifestyle. Just give us a call and we will discuss the best delivery path for you. HDIS also provides products for activities such as swimming. Yes! You can enjoy swimming while incontinent. Tranquility offers a product called Swim Mates. The Swim Mates line provides incontinence protection prior to entering the pool. It also provides containment for bowel incontinence. The pull-up style underwear does not break apart and only shows minimal swelling from the water. They are designed to be worn under a bathing suit. The benefits swim mates provide have helped our customers tremendously. · Pill organizers securely hold pills and help maintain a morning and evening medication schedule while away from the house. · A Memory foam half roll pillow provides pressure relief on the legs, neck and back. · The Miracle All Day Moisturizer provides all day dry skin relief. This product also meets the 3oz. liquid limit for air travel. · Comfort Bath Washcloths will aid in a refreshing quick cleanup on a long flight. A good rule of thumb for traveling with incontinence is to over stock your products. I recommend packing twice the amount of pads/pull ups you need, especially in warmer climates, where you will consume more liquids to combat the heat. We can hold your delivery until you return, or deliver it right before you leave. We are even able to ship it to your holiday destinations. HDIS is more than willing to help equip you for an amazing vacation. Our Customer Care Representatives will make sure you can travel with confidence. Visit our website at hdis.com or give us a call today at 1-800-269-4663. We can’t wait to hear about your plans!